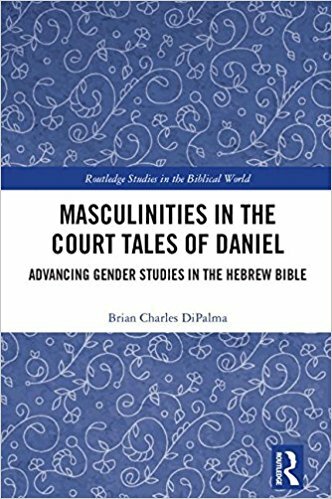 Description: In this volume, Brian Charles DiPalma examines masculinities in the court tales of Daniel as a test case for issues facing the burgeoning area of gender studies in the Hebrew Bible. In doing so, it both analyses how the court tales of Daniel portray the characters in terms of configurations of masculinity in their socio-historical context, and also seeks to advance gender studies in the Hebrew Bible on theoretical, methodological, and political grounds. Masculinities in the Court Tales of Daniel is therefore of interest not only to scholars working on Daniel, but also biblical scholars studying gender in the Hebrew Bible more broadly, including those engaged in feminist criticism, queer criticism, and studies of masculinity, as well as anyone studying gender within an ancient Near Eastern context. Citation: Jordan M. Scheetz, review of Brian Charles DiPalma, Masculinities in the Court Tales of Daniel: Advancing Gender Studies in the Hebrew Bible, Review of Biblical Literature [http://www.bookreviews.org] (2019).